Polly and Buster are new characters from author of the much-loved Billy B Brown series, Sally Rippin. You and your young reader will fall in love with this mismatched pair. Polly is a witch, but not a particularly good one. Her best friend Buster, is a monster who feels emotions so deeply, they make him grow or shrink. 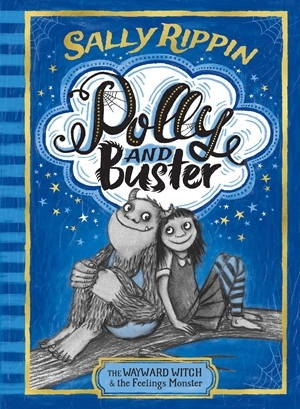 Even though they have been best friends forever, Polly and Buster must keep their friendship a secret, because everyone knows witches and monsters mustn’t mix, and they definitely can’t be friends. A chance meeting between them at a museum sparks a war between witches and monsters that Polly knows she has to stop. This is the most gorgeous book about friendship, honesty and peer pressure. It’s perfect for snuggling up and reading to your child, or for them to read themselves.